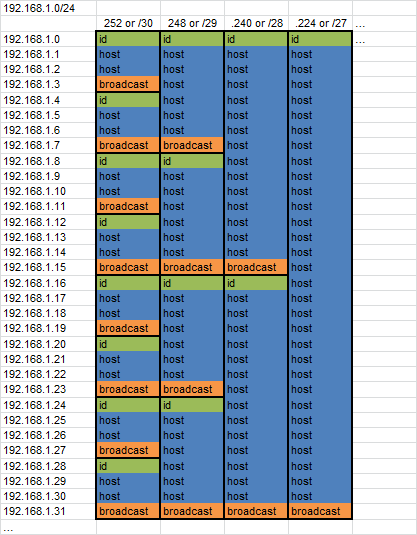 I was recently helping a friend understand how to grasp where hosts can exist given various CIDR block combinations. After going over the math, I started to draw on the whiteboard and came up with this chart. I am a visual learner and I’ve always kept this style of grouping in my mind when thinking about various subnets. Here’s a quick digital version of what I drew to share.